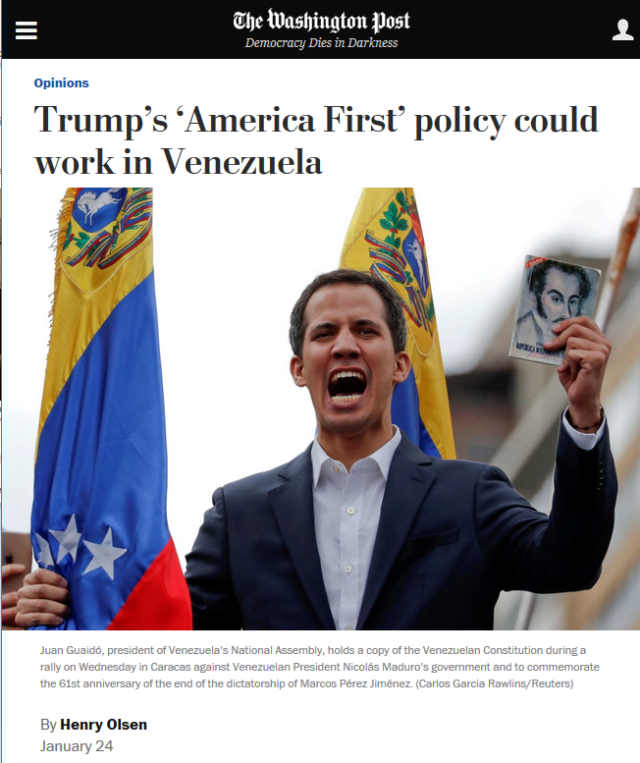 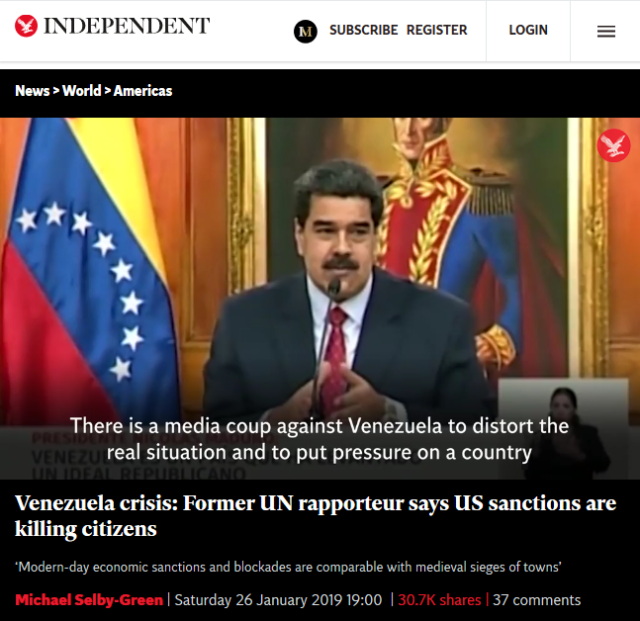 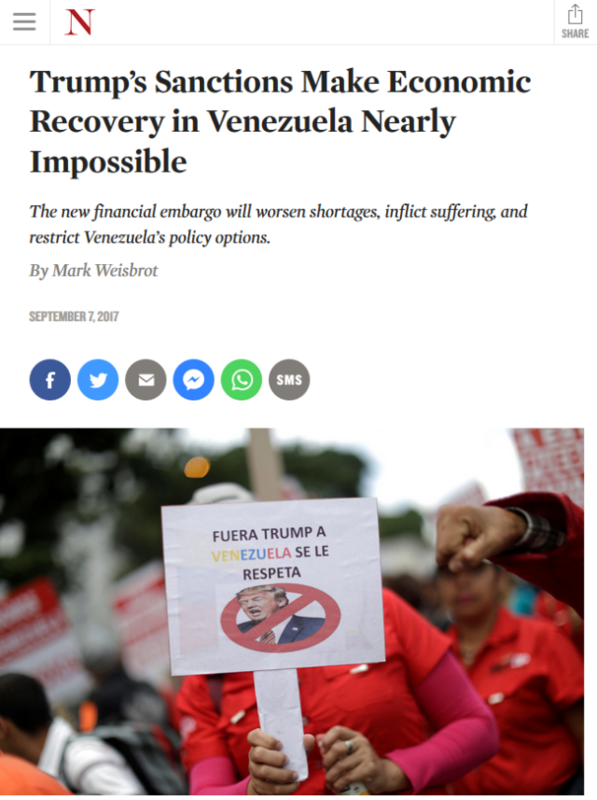 6 Feb 2019 – The US media chorus supporting a US overthrow of the Venezuelan government has for years pointed to the country’s economic crisis as a justification for regime change, while whitewashing the ways in which the US has strangled the Venezuelan economy (FAIR.org, 3/22/18). 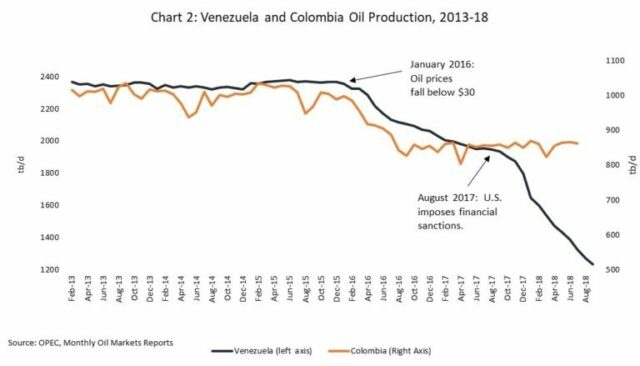 Economist Francisco Rodríguez (WOLA, 9/20/18) points out that oil production in both Venezuela and Colombia dropped when oil prices fell in 2016–but Venezuelan production plummeted when the US imposed financial sanctions in 2017. 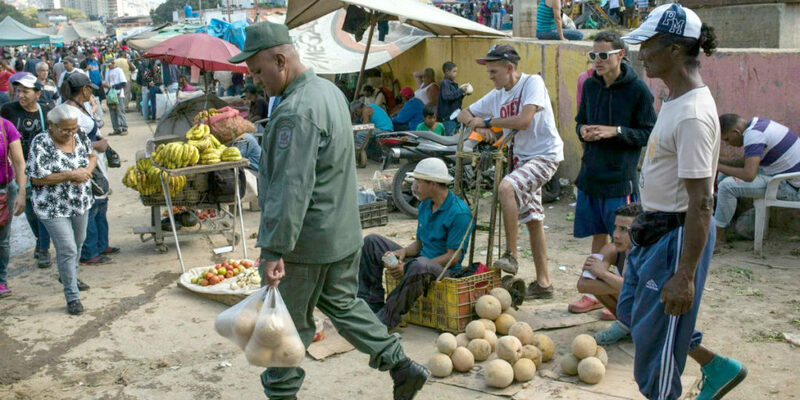 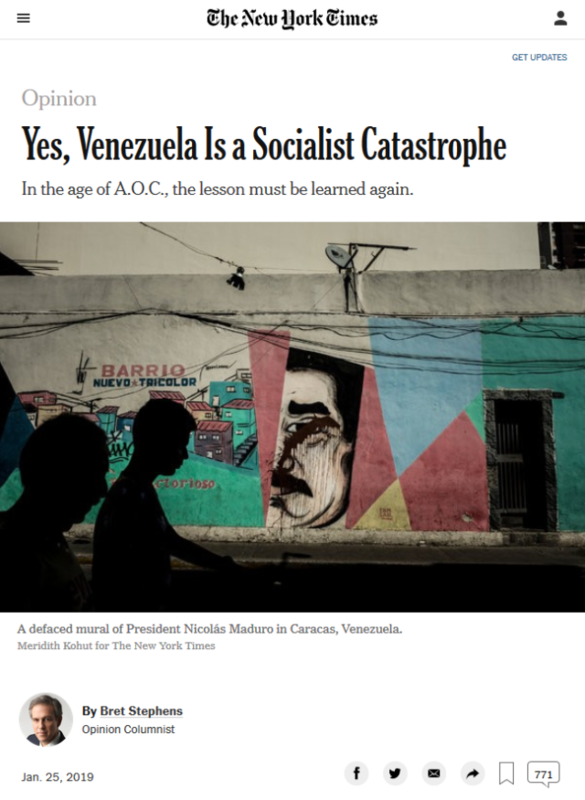 Torture advocate Bret Stephens (New York Times, 1/25/19) mocks the idea that sanctions, and not “socialism,” are responsible for Venezuela’s economic crisis.